Enjoy your next adventure with a vehicle designed to tackle nearly any road or terrain that you come across. The Wrangler is an iconic classic off-road vehicle that lives up to its name. It has the capability, performance and features you need to make the most of your next adventure, and you’ll how well it works to help you stay focused and connected on your next road trip. Explore the beautiful sound system, the smart features that bring this vehicle to life and the ability to go nearly anywhere you want to go with this incredible new vehicle. 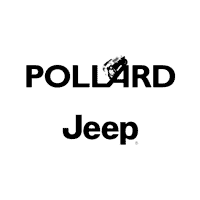 Come down to Pollard Jeep serving Boulder Thornton Longmont Denver residents to discover all of the features available to you. The Sport, Sport S and Rubicon all come with two and four-door options. If you go with the Sport trim, you’ll get 17-inch x 7.5-inch black steel styled wheels. The Sport S gives you the same dimensions on the wheels but with silver aluminum wheels for an optional upgrade to polished granite crystal wheels. The Rubicon gives you the most value with wheels that are polished and come with black pockets. All season tires are available on all trims, but the Sport and Sport S have an optional upgrade to all-terrain tires. The Rubicon offers off-road tires. A black Sunrider soft top comes standard on all trims, but you can get the optional body-color Freedom three-piece hard top on the Rubicon trim level. Come down to Pollard Jeep serving Boulder Thornton Longmont Denver residents to discover all of the features available to you. With three different model options to choose from and a variety of configurations, you’ll have your work cut out for you selecting the best trim for your needs. All of the trims come with an easy access passenger seat, driver seat and low back bucket seats for convenience and comfort. The Rubicon trim provides you the option of getting leather-trimmed bucket seats, and it’s the only trim level that gives you this option. When it comes to convenience features, you’ll get a 115V auxiliary power outlet on the Rubicon trim and a 12V power outlet on the other trims. Air conditioning is standard on the Sport S trim and higher, but the Rubicon ups the ante with automatic temperature control. You’ll also love the illuminated cup holders that come standard on all trims. Trust our Jeep dealership near Longmont Colorado to get you an incredible price and great deals. No matter the trim level you go with, you’ll get the same engine options. This vehicle is built with a 3.6-liter V6 engine for outstanding power and capability. You can also upgrade any trim to get the 2-liter Turbo eTorque engine. The car comes with an engine oil cooler as standard equipment, and you’ll love the option to choose between the standard six-speed manual transmission and the eight-speed automatic transmission. This vehicle also comes with either a 4WD Command-Trac system or you can upgrade to the 4:1 Rock-Trac HD Part Time 4WD system if you go with the Rubicon. 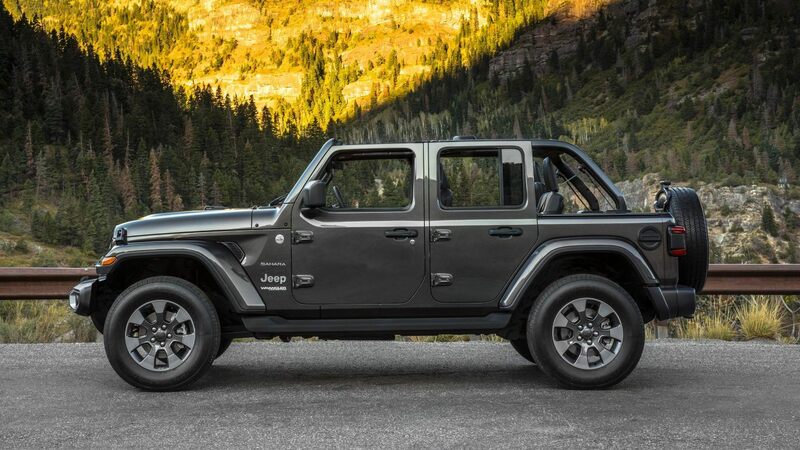 Trust our Jeep dealership near Longmont Colorado to get you an incredible price and great deals. Come down and explore all of our safety and security features to find out how this vehicle is designed to keep you protected. The most important safety features come standard on all of the trim levels. You’ll get advanced brake assist, multistage front airbags and electronic roll mitigation on all trim levels. You’ll also get electronic stability control, a front passenger seat belt alert system and hill start assist in keeping you going. The hydraulic assist brake booster gives you incredible power and capability, and the backup camera makes it easier to get in and out of any spot safely. 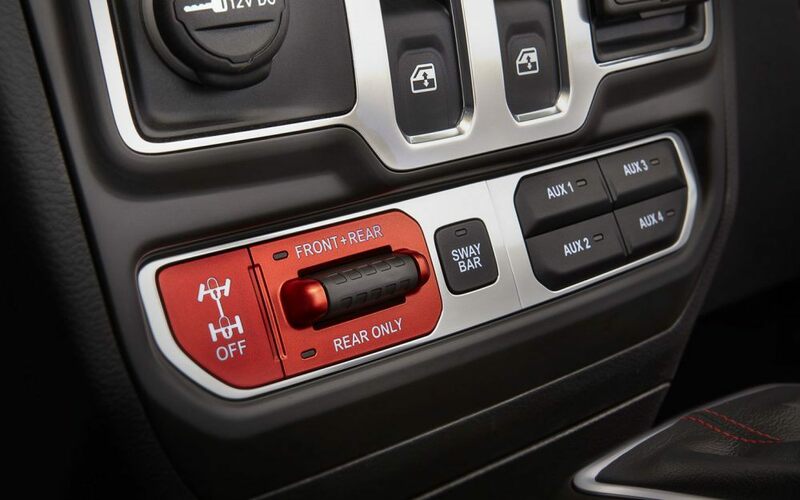 On the upper trim levels, you’ll get some nice features like remote keyless entry and remote proximity keyless entry. Come down to our dealership so that you can request more information about the new Wrangler. This vehicle is a fun vehicle to drive, and we want to help you get a good financing package that will make it easier to take home your car today. We will work with your budget and needs so that you can be thrilled with your next purchase. We also often have specials that can help you save additional money. Since everybody has a unique situation, it’s easiest for you to come and speak to us so that we can figure out what specials are available to you. This way, you’ll get an accurate quote and know exactly what vehicle you can afford. Come down to Pollard Jeep serving Boulder Thornton Longmont Denver residents to discover all of the features available to you. We will take you on a test drive so that you can get to know this incredible vehicle. 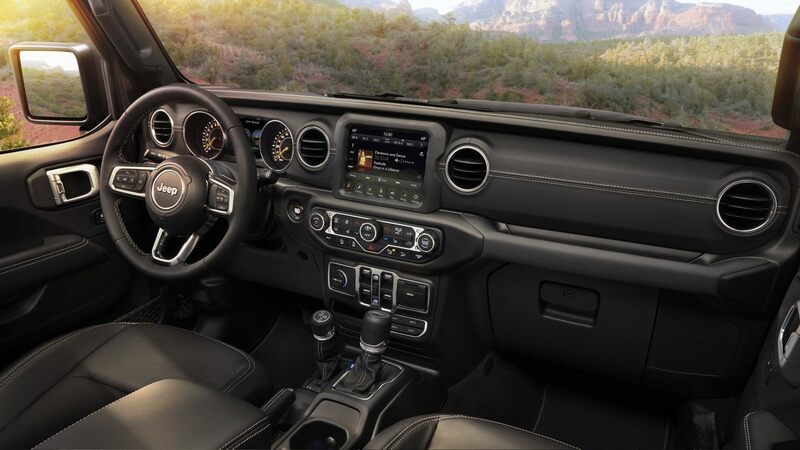 Give our dealership some time to show you all of the incredible features, and discover why you should buy the new Wrangler for yourself. Trust our dealership near Longmont Colorado to get you an incredible price and great deals. We want to serve you so that you choose us for all of your off-road vehicle needs.